Recruitment is a tedious process and what’s even more exhausting and frustrating to deal with – A BAD HIRE. It’s a nightmare finding out that the candidate you qualified as “The Best Fit” for the role turned out to be a total misfit. 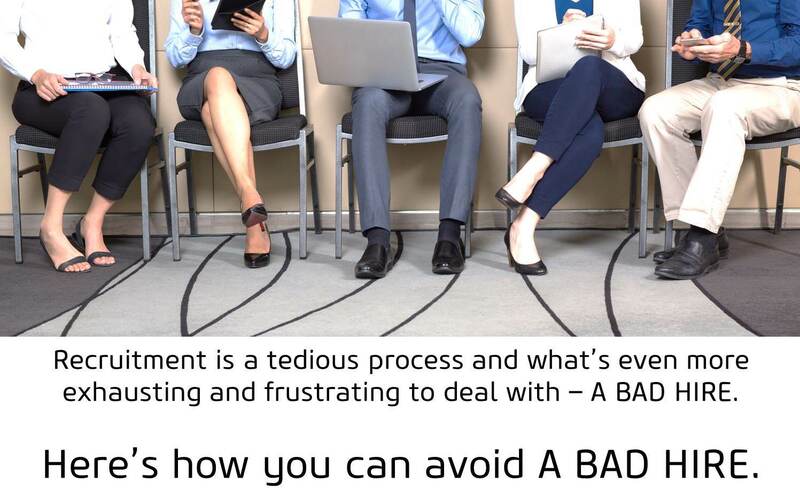 Bad Hires result in a drop of productivity, employee morale, disruptions in the team and most importantly it impacts the manager’s productivity. Surprisingly most hiring managers are aware of these aftermaths and yet, at times, they end up hiring the wrong candidate. If so, why do you end up hiring the wrong candidate? How does a candidate you qualified as perfect for the role take a 360 degree turn, and turns out to be everything you weren’t expecting? Were there any red flags that you ignored during the interview process? Is your interview process fail-proof? These are just some of the few questions to analyze when you are faced with such a situation. Understand/review the role; is there a new skill that may be needed for the role or some other traits you are looking for? Browse internally before you venture out, there maybe someone within your company or team who could best fit the role. Decide on the time frame/urgency to fill this position. This means knowing the impact the vacancy has on your and your team’s ability to reach the business objectives? How does this vacancy affect your business goals? No access to the right talent pool or no right Recruitment partners: How can you source the right candidates? 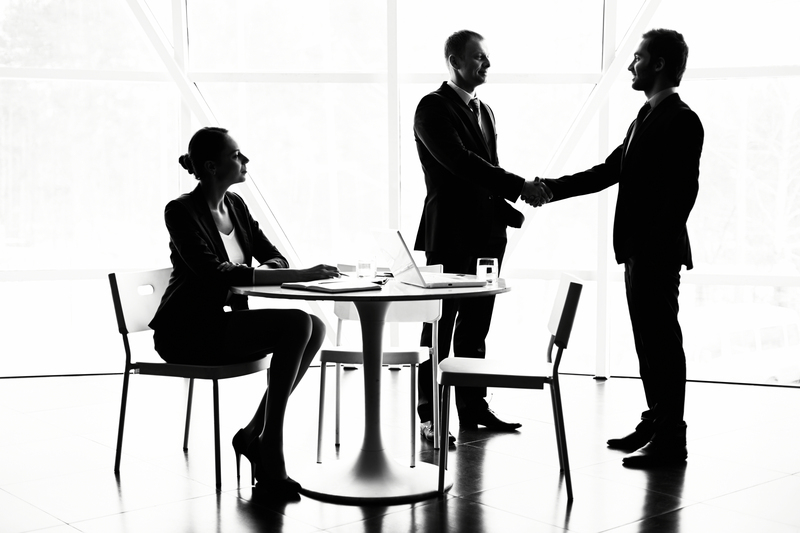 Do you have access to good, qualified candidates who are willing to make a move? What are the various sources your company access to have support in hiring this critical vacancy? Companies today rely too much on automation – LinkedIn, Job Boards etc. Recruitment is much more than just drawing CVs out of job boards and matching them to job profiles. Not all candidates are active on job boards or professional networking sites. Not all candidates are regular on LinkedIN and the ones that are there may not necessarily respond to your job post. This is where a recruitment partner steps in. Recruiters have multiple networks – and can leverage this to help connect you to people with a range of skills and experiences, many who are “Passive” and off the radar of your in-house team or in some cases, even your network or contacts within the industry.Desperate to close role: Desperate times call for desperate measures. With the urgency of closing a position, you source a CV that matches the job profile & that candidate is hired, sometimes overlooking critical hiring stages like reference checks. Discounting red flags: Sometimes, an instinct or gut feel gets overlooked. These can sometimes be the obvious red flags which come up in the hiring process, and for whatever reason, you chose to ignore them. Maybe you trivialized some sort of feedback from a member of the hiring team or didn’t follow up properly on an issue raised by a reference; no matter what the rationalization was, ignoring these warning signs comes with a pretty hefty price tag. Falling for the Halo Effect: We often meet people who we instantly draw a liking towards- it could be for the way they conduct themselves, attire or even similar affinities like alma mater, faith systems, location of birth—you get the drift. We start forming a positive perception about this individual. Many a times interviewers get carried away with conversation that could be emotionally driven for e.g. some difficult personal situation that the candidate is going through and the interviewer may relate or sympathize with the candidate. These situations or perceptions very often form the bases of hiring decisions that are not the best. Deep evaluation and precaution in hiring decisions help you understand whether a candidate will contribute and help build a business or disrupt the team functioning, halt growth and bring down employee morale. While hiring you must remember that it’s always One Bad Apple which spoils the rest!